Out on the Big Meadow in Shenandoah National Park, Virginia, the ranger (that is Virginia the state, not Virginia the ranger) drew our attention to an unmistakeable bird call. I had never heard it before, but as soon as it registered, there could be no doubt about which bird was responsible. “Bob, Bob White,” came the emphatic call across the grassland as the sun dipped towards the horizon, but the bird did not come out into the open. 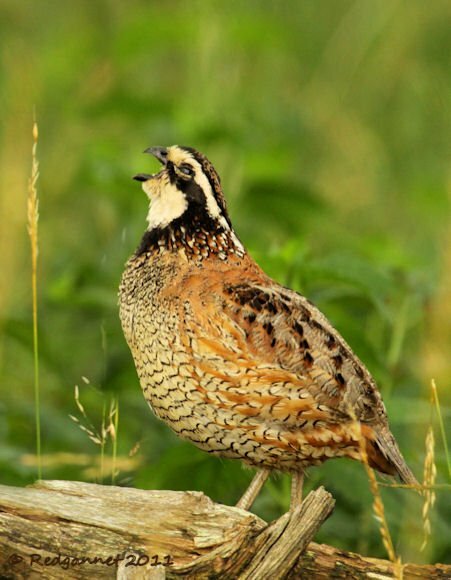 Secretive and with a preference for low cover, the Northern Bobwhite is more often heard than seen. This one was calling from far off across the meadow, so the chances of a good sighting as the light faded were slim. In consultation with a certain Mr. Sibley, I discovered that Mockingbirds and Starlings often imitate the call so visual verification would be required before the red crayon could be applied to this New World Quail. The next morning, finding a bobwhite was set as the priority. Though my companion would have preferred tea and a big breakfast, I had the car keys so bobwhite watching it was. We parked close to the meadow with the intention of walking across the grassland, listening for the distinctive call. 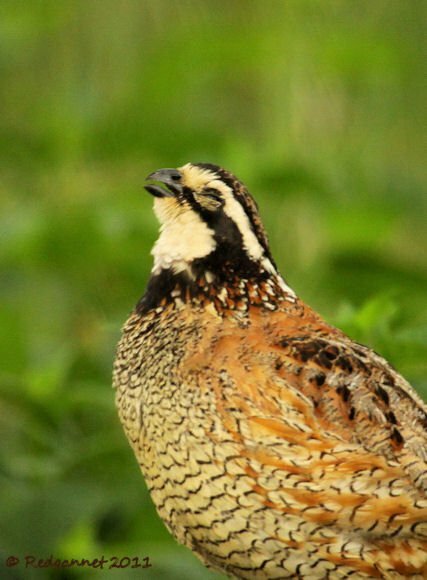 With a dose of luck that was surely meant for my friend and her gastric dilemma, we heard the call as soon as we stepped from the car and there, in a copse of young trees, was a male Northern Bobwhite straining to give his best performance, his eyes screwed up at the effort of the emphatic “White” note. We spoke softly to reassure him and he allowed us to approach quite closely. Another male was calling from the other end of the copse. We did not see the other bird, but enjoyed a vigorous duel/duet between the two. At one stage, our bird changed his characteristic vocalisation for a softer one. 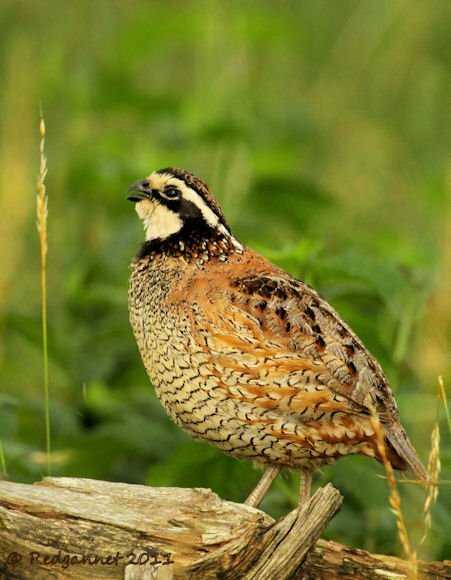 Bobwhites have vocalisations that distinguish between aeriel predators and ground predators as well as contact calls to keep tabs on the rest of the covey. I had not done my homework well enough to be sure that we were not causing him stress, so we withdrew for an easily earned breakfast. For next time, if he had considered us as a threat, he would have used “a throaty errrk” (Sibley). The soft kichoo that we actually heard (pitoo, Sibley) was a contact call. Once we backed off he re-commenced his big number in competition with his pushy neighbour, so we had probably reached a point at which he was assessing his next move before sounding the alarm. The Shenandoah National Park is sited on the eastern side of the southern Appalacian Mountains, just 75 miles from Washington DC. This section, in Virginia, is known as the Blue Ridge Mountains, I am sure we all know the song! The description of the trip from which this encounter was a highlight can be found at Redgannet. 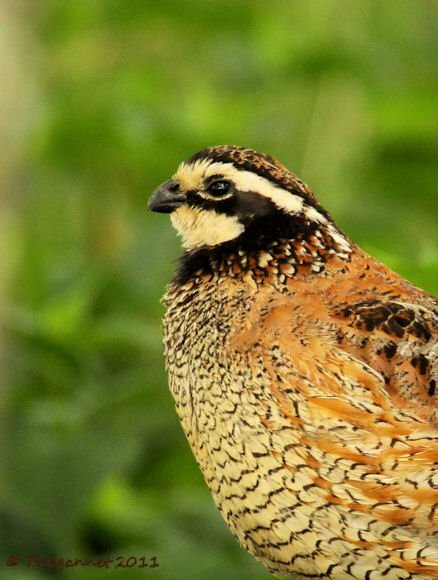 Terrific shots of the Bobwhite! 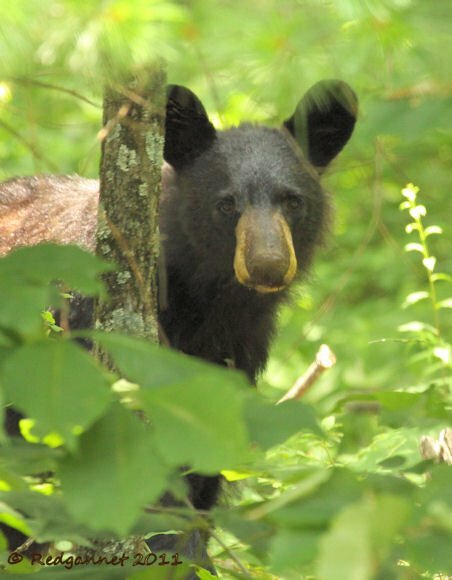 It is very unlikely that I will ever encounter one where I live in Vermont, but we did have a black bear visit our backyard a couple of times. I checked the birds song and call on my favorite iPhone app BirdTunes and listening to it I know I have never heard it before. Thanks Hilke. A bear in your yard trumps my hedgehog anyday! These pictures can’t be real! I remember the Bob Whites calls, like it was yesterday. However I haven’t heard one in many years. Your blog is a great read. Thnx for your work !